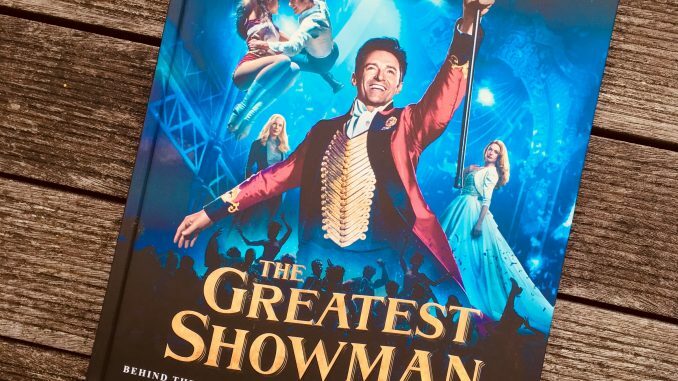 If you are a fan of The Greatest Showman, your Christmas list starts here. 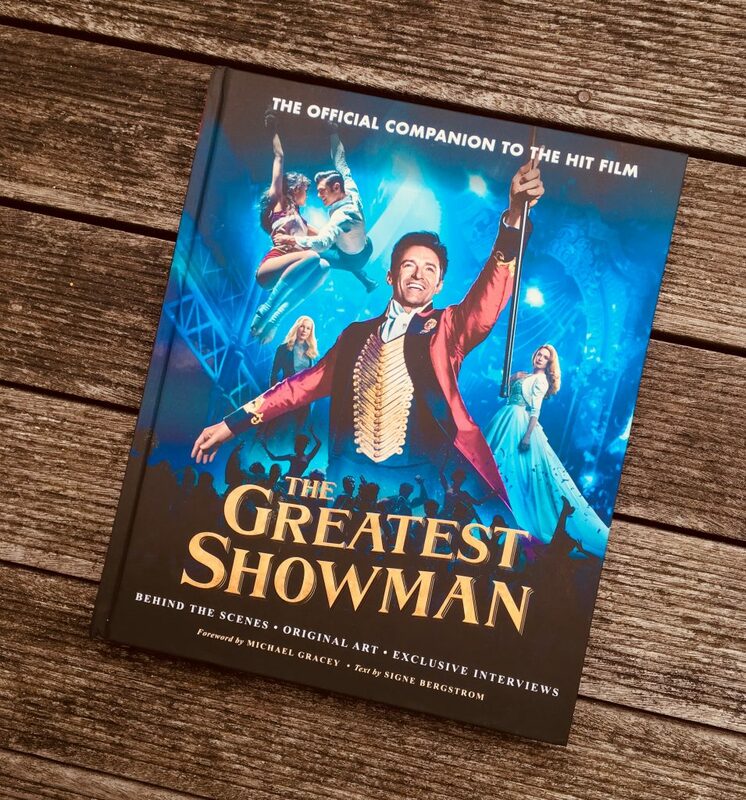 For just as your DVD has practically worn out with repeat viewings, along comes The Greatest Showman book . So now you have even more excuses to shout out This is the greatest show! at inopportune moments. 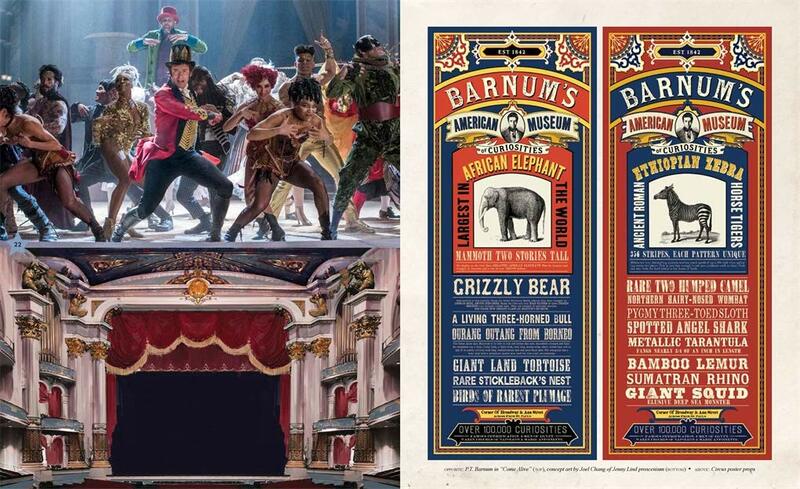 Yes I know that some people don’t like The Greatest Showman (they’re wrong) and point out that PT Barnum was probably a much more difficult character in real life (fair enough). It is a bit of a Marmite film, and not everybody likes it. But those who do are generally MAD for it, and it’s those people that this book is aimed at. Dennis is still making up his mind. I don’t know if I’d trust his opinion. Altogether now – This is the greatest show! Teen number one took me to see The Greatest Showman at the cinema on what was her 3rd viewing. The soundtrack is now one of my top selections for in-car entertainment (cos if I’m driving, that can only mean one thing – showtune singalong). 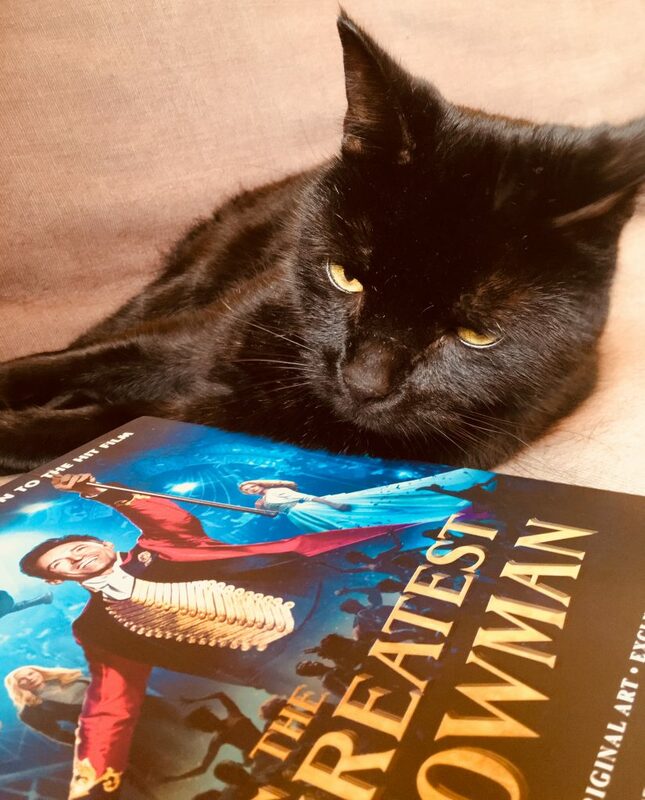 We all enjoyed this book as a chance to check out the detail of the film – all those little costume and set decisions that fly past on the screen but really add to the vivid world of the movie. This is a coffee table-style, large format hardback book, clocking in at just under 200 pages. 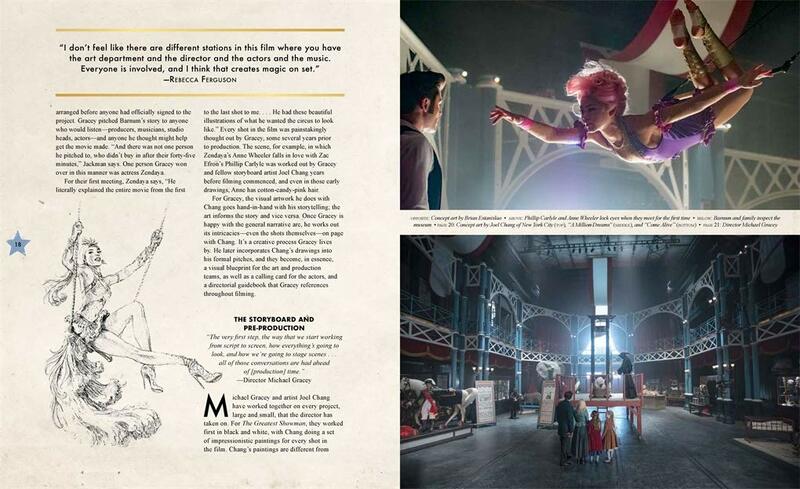 It contains masses of artwork and behind the scenes images from the film. If you’re interested in production design and why the film looks the way it does, it’ll be right up your circus tentpole. There are interviews with cast and crew, but they’re fairly bland as you might expect from an official release. So you won’t get much in the way of insider gossip, but you do learn EXACTLY how the Bearded Lady got her beard.